Need some new tricks in your manual therapy bag? Fascia is one of the most critical, misunderstood and fascinating anatomical structures. Fascial restrictions can limit good muscle function, maintain poor posture and affect the function of the peripheral nervous system. 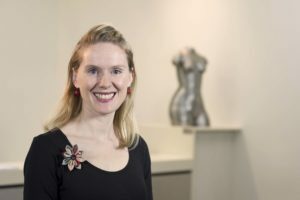 Elizabeth Howard has more than 15 years' experience as an osteopathic and pain educator at multiple Australian universities and as a CPD provider. In Part 1 of her Myofascial Release series Liz will briefly update the latest functional anatomy and teach you to confidently examine and treat myofascial contributors to pain using the Anterior Bowstring model. This course has a strong practical focus including demonstrations of treatment protocols (including patient education and self-management tools) that you can use immediately in your practice to improve patient outcomes. After completing this course attendees will have the opportunity to attend Myofascial Release: Part 2 which will look at the deeper chains in more detail, including visceral supportive structures and more indirect myofascial techniques. The Fascial Release part 1 course is applicable to all allied health manual therapy practitioners. It will include practical examination and treatment protocols you will be able to use with confidence in your practice. The course will run from 8:30AM to 4PM. Places are limited to 20 attendees. It also includes morning and afternoon tea, e-notes and an e-certificate of attendance for your CPD records. The course can be counted as 6 hours CPD. Liz has over 20 years experience as an osteopath, and has worked at the Women's Health & Research Institute of Australia for over 5 years. Her main focus is the holistic management of complex pelvic pain with the interdisciplinary team, working closely with Professor Thierry Vancaillie (Gynaecologist and Pain Medicine Specialist). Her roles include osteopathic care, pain education, clinical specialist in sacral neuromodulation (with Boston Scientific) and facilitating group education for pelvic pain. Most recently Liz has been helping manage the women suffering with pelvic pain after mesh surgery for prolapse at WHRIA and the Royal Hospital for Women, Randwick. Her teaching experience ranges from lectures and technique in Undergraduate and Master's Osteopathic programs (University of Western Sydney, Southern Cross University), clinical supervision of osteopathic students (UWS, SCU, SportsMed Mumbai), Osteopathy Australia National Conference presentation, Pelvic Floor Seminars, GP education evenings and Allied Health events. Find further information about Elizabeth here.